My good friend and renowned Exchange MVP Jeff Guillet (expta.com fame) brought an interesting issue to my attention. 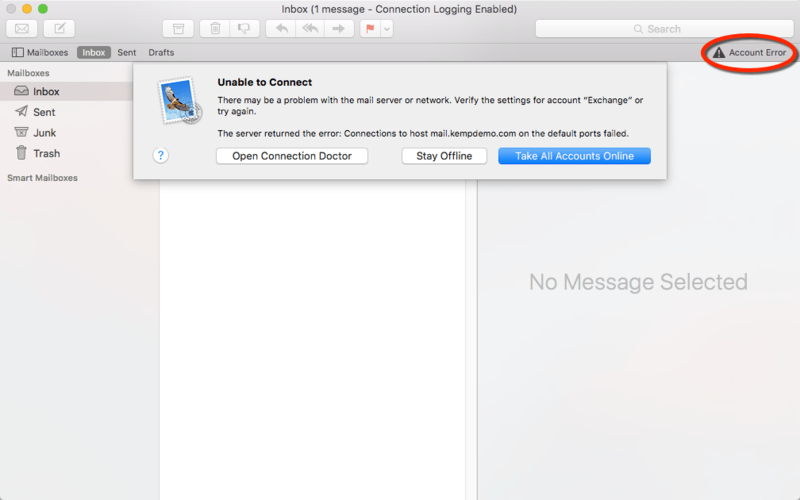 On his Mac, built-in Mail client would not connect to Exchange through KEMP LoadMaster. The load balancer was configured to user Layer 7 load balancing. The Exchange environment was mixed Exchange 2013 and Exchange 2016 but load balancer was configured to use only Exchange 2016 servers. 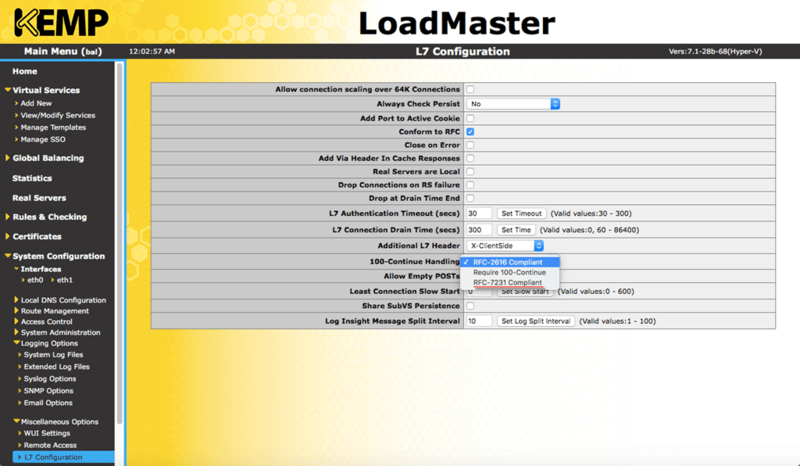 KEMP LoadMaster was configured to terminate SSL connection on the load balancer. The connections to the Exchange servers were also encrypted. It is worth pointing out that while Outlook 2013/2016 on PC use MAPI/HTTP or RPC/HTTP to connect to Exchange 2013/2016 servers, both clients on Mac (Mac‘s own Mail client and Microsoft Outlook for Mac) uses Exchange Web Services (EWS). The error is somewhat misleading as when you look at EWS logs on Exchange server, you will see that the server responded to the request with HTTP error 400 which translates to “bad request”. What I didn’t know at this point was what was causing the server to respond with this error.